WOW!!! Big Lake Views and PRIVACY from the back of this expanded 3 BR + Den Madrid! ON THE BIG LAKE! PRICED TO SELL NOW! NEW Never used SS kitchen appliances! NEW HEALTH CLUB JUST OPENED with BRAND NEW MAIN CLUBHOUSE to open SOON!! ASSESMENTS PAID!!! Compare this home at $166/ sq ft and the mature beauty of Valencia Isles landscaping plus constant improvement of facilities ( ex, 2 Pickel ball courts) and you can see why Valencia Isles is also a GREAT VALUE!! Den can be used as Office/ Hobby room?/MAN CAVE or spare bedroom. Crown molding upgrades throughout; master b/r has custom designed closets. Of course Ceramic tile on diagonal. 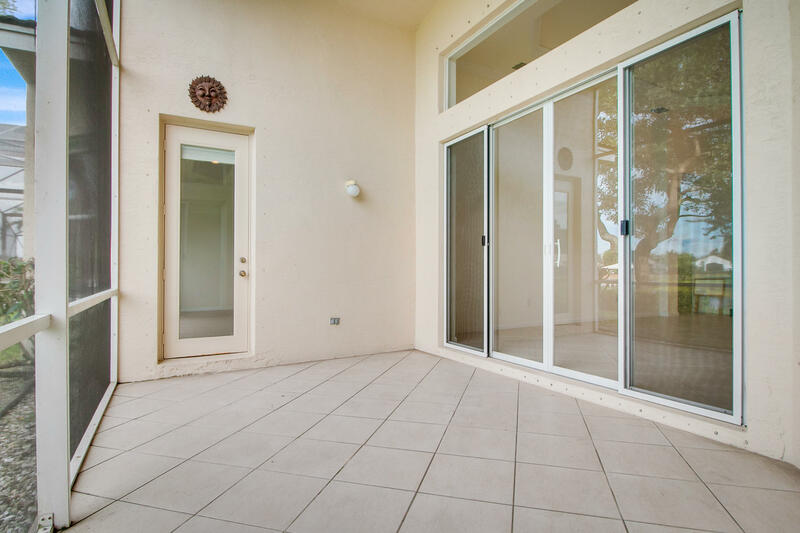 Screened in Lanai for relaxing or enjoying an outdoor meal. HURRY -WONT LAST LONG AT THIS REDUCED PRICE! !